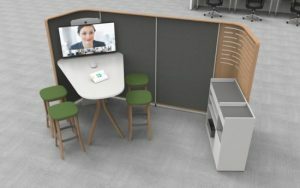 Cisco Webex® Room Kit Mini is an Artificial Intelligence (AI)-powered video conferencing system custom-designed for the huddle workstyle, and is easy to use, deploy, and manage. It combines codec, camera, microphones, and speakers into a single device that integrates with a 4K display to bring more intelligence and usability to all of your huddle rooms and spaces. 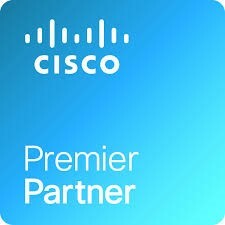 Room Kit Mini delivers the industry-leading collaboration experience customers have come to expect from Cisco, which is consistent whether you’re in a huddle space or a corporate boardroom. Easy deployment and management capabilities allow customers to outfit and support thousands of huddle spaces with intelligent collaboration tools typical of larger room systems – at high value – while unique analytics provide valuable insight on utilization for resource planning. Together, these features allow Cisco to remove the barriers to use and deployment, and enable the new huddle work style embraced by today’s workforce. Room Kit Mini is rich in functionality and experience, while priced and designed to be easily scalable. Smart meetings. Powerful integrated cameras deliver intelligent view capabilities, such as automatic framing; automatic noise suppression reduces meeting disruptions. Smart presentations. Dual content sources, wireless sharing, and 4K content make for great presentations. Smart rooms. People count for usage metrics and resource allocation; tight integrations with screens enhance user interactions; APIs and macros allow meeting personalization. Registration flexibility. Built for both cloud and on-premises deployment, protecting your investment. Join any meeting. A USB passthrough enables interoperability with any cloud service provider.